A new solo show from Central St Martins graduate / illustrator and graphic designer Danny Sangra opens this evening Friday 4th August at The Pineal Eye in Soho. 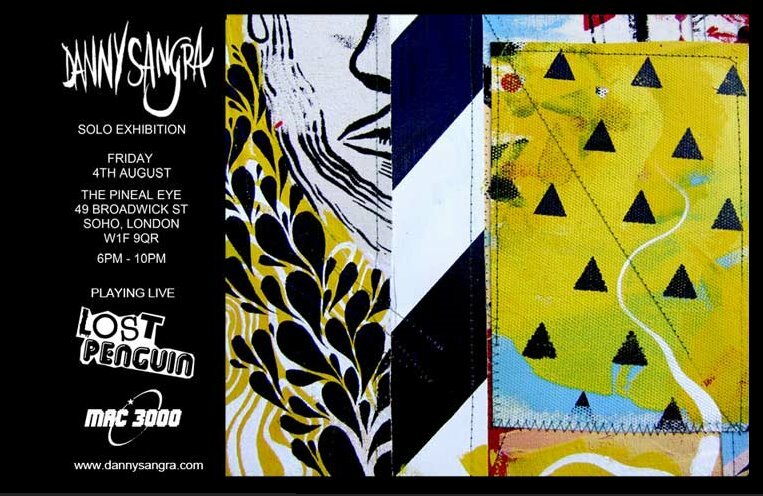 The show will open this evening at 6pm and will feature live music from Lost Penguin whos new single Mr. Whippy is set to drop on the 27TH August at The Old Blue Last and features artwork from Danny Sangra. The Pineal Eye, 49 Broadwick Street, Soho. London.